"These were in the days of Joiakim the son of Jeshua, the son of Jozadak, and in the days of Nehemiah the governor, and of Ezra the priest, the scribe. And at the dedication of the wall of Jerusalem they sought the Levites out of all their places, to bring them to Jerusalem, to keep the dedication with gladness, both with thanksgivings, and with singing, with cymbals, psalteries, and with harps." The books of reference used for this study of the book of Nehemiah were the Bible, King James Version, called "The Companion Bible", Publisher Kregel; Strong's Exhaustive Concordance of the Bible, numbered to the Hebrew, Chaldee, and Greek, and English, coded to the Strong's Concordance numbers. This study is provided by http://www.theseason.org/ with permission from the author R. Christopherson. "The Wall, External Disorders Overcome." "Opposition to Building the Wall." "The First Day, the Book Opened and Read." "The Separation of the People, Praise and Confession." "The Covenant and the Ordinances." "Jerusalem, the Civil and Sacred Laws." 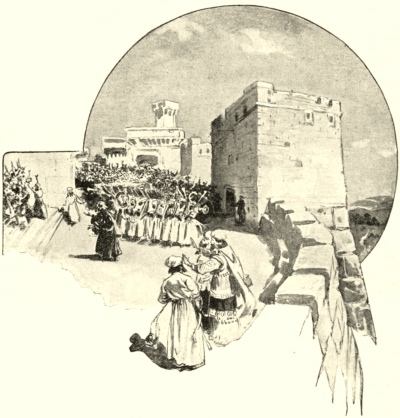 "The Return Under Ezra, Dedication of the Wall and Gates."